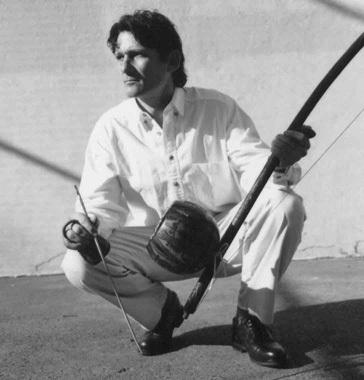 Michael Goldstein (Mestre Ombrinho) has dedicated over 30 years to enriching the lives of people of all ages and backgrounds through classes and performances in capoeira, the Brazilian form of self-defense disguised as dance. He is a master teacher, the founder and executive director of the non-profit organization Afro Brazil Arts, and the first non-Brazilian to become a master of capoeira. He is widely known for his mastery of capoeira among Brazilian capoeira masters and practitioners, as well as his ability to make capoeira accessible to people who are experiencing it for the first time. Through his leadership, Afro Brazil Arts (ABA), has produced close to one thousand performances and many thousands of classes featuring capoeira and Brazilian music and dance. 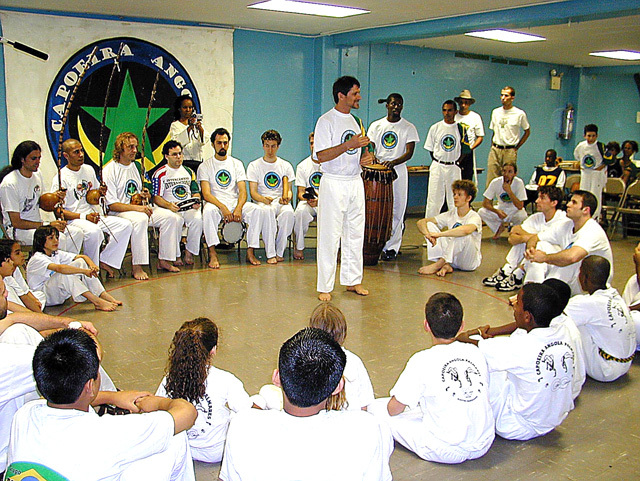 Founded in 1991, ABA's mission is to inspire leadership and community through capoeira. ABA's has collaborated with arts organizations such as City Center, World Music Institute, The Guggenheim Museum, and Arts Horizons, and with schools and universities including Cornell, Yale, Princeton, and Julliard School. Also critical to ABA's mission is the training of the next generation of master teaching artists. Michael Goldstein is also the Head Instructor of Capoeira Angola Quintal (CAQ) Academy, training adults in the art of capoeira. Widely respected in the international community of capoeira, CAQ has been invited to participate in capoeira events and conferences all over the world. CAQ, based in New York City, operates programs in several colleges and universities in New York including The New School University and Borough of Manhattan Community College. For the past twenty years, Mr. Goldstein has been active internationally teaching courses, participating in panel discussions, organizing events and international encounters in Brazil, the US, Israel, and Europe. Each year since 1999, Mr. Goldstein has led the ABA Capoeira and Cultural Retreat in Brazil in which North Americans and Brazilians experience capoeira, its culture, and community. Mr. Goldstein grew up in Teaneck, NJ, received his BA in Art at Oberlin College, and lives in Manhattan's East Village.